so that My salvation may reach to the end of the earth." 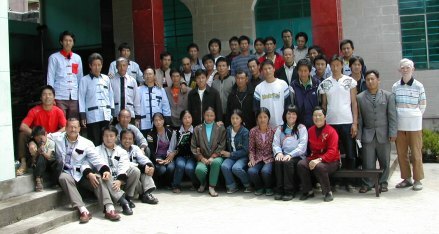 It is always a great joy to teach the Lisu students in Asia. They are so hungry for God’s Word, and eager to learn all they can in the allotted time. We usually begin classes at 8AM, and often continue (with breaks) until 9PM. Even during the breaks, the students will often gather with questions. Some of my most pleasant memories are of gathering with them around the small fire in the room housing the water heater. Here we drink green tea, discuss Scripture, and get a lot of laughs as well. This year I taught through the book of Philippians. Paul’s emphasis on the providence of God, and how we can rejoice in the midst of trial, was certainly timely in light of the cyclone that hit Burma, and the earthquake that later devastated western China. All of our students would be affected by those two natural disasters. We are confident due to their eagerness in Bible study that they are “holding forth the word of life” in their respective tests, trials and ministries. 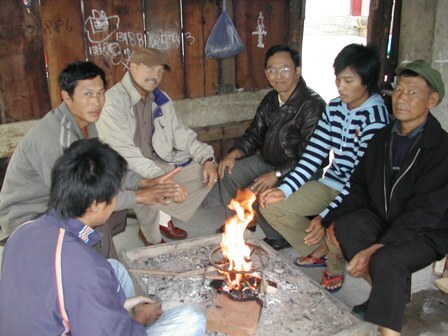 My confidence in the Lisu pastors and teachers is akin to Paul’s confidence in the Philippian believers. They have proven themselves steadfast in the face of many trials. 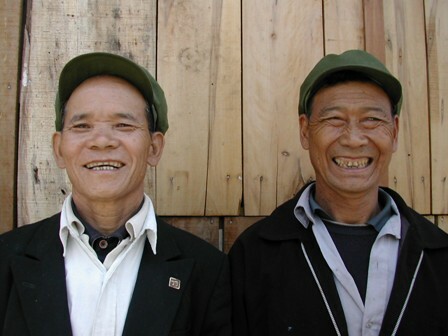 The two mountain pastors below told us stories of their family’s history, which like many Lisu believers involves fathers, grandfathers and uncles who spent many long years in prison for their faith. Yet, the smiles on their faces express their joy in the Lord in spite of many difficulties. I have been told the Li-su originated in Mongolia. Warfare from stronger tribes caused a great migration of the tribe, many going South into China, Burma, Thailand, India, and Nepal. Some went North and East. My own theory is that some crossed over into North America, where the Li-su became Le Sioux. They are a mountain people, who have a love of forests, rivers, and strong kinship with the Eagle-totem, as a symbol of freedom and strength. They are great musicians and beautiful singers, as the two songs here illustrate (Hallelujah, and The Cross Road). One of our greatest joys this trip was to see “Charlie”. We have requested prayer for him in the past that he would come to know Jesus Christ. While being treated by him and some of his friends to a wonderful Chinese meal, he turned the conversation to Biblical things. He kept pushing toward the idea of believers as members of God’s family. When I confirmed this to him, his response was, “Then that makes you and me brothers”! He seemed very eager that two of his friends sit in on the conversation, an indication he is concerned for their salvation. Please continue to pray for him, and for his friends Mr. G. and Mr. A. This year, after a week with Nan at the India Childrens Bible Schools, I met Logan and we returned to Pakistan for a Bible conference and various other meetings with believers there. Last year we stood on a vacant lot and prayed for God to provide a church building. Since then the building is complete and the conference was held there. God answers prayer! Now we are praying for additional classrooms. 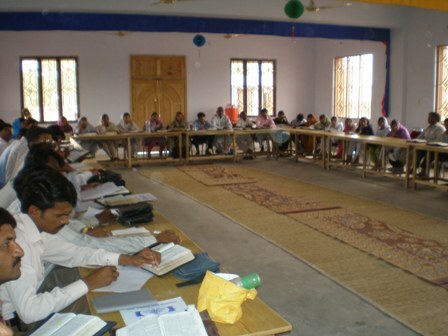 Please pray for the pastor’s and spiritual leaders of Pakistan to be grounded in the sound teaching. After one week, Logan left and Nan arrived for her first visit to this country. She was able to address two women’s seminars, as well as minister to children in the schools. 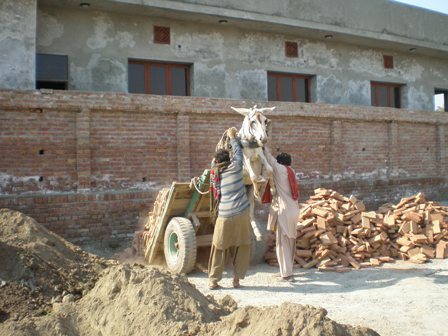 In Pakistan they have the most amazing dumptrucks! They are four wheel drive, with large antennas and you should hear the horn! This one was being used to build the new church building. 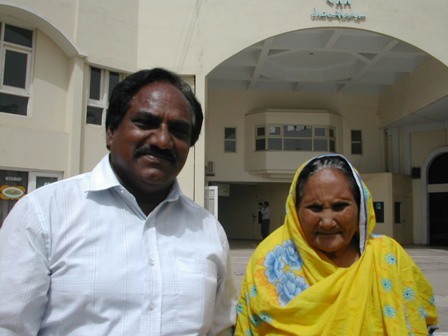 Our host is Pastor Sadiq Sarfraz and his wife Zeenath. They have found amazing ways to adapt ministry to the needs of people, including public schools, sewing centers for ladies, and even a small beauty parlor, used to train (and evangelize) local women. The entire family is working as a team for the spread of the Gospel. Sadiq and Zeenath have four sons (two married), and three daughters (one married). All are involved in teaching in the schools for poor children who have no other hope of education, helping in the sewing centers, and the beauty parlor. We were so overwhelmed with the hospitality of this family, and amazed at their dedication to the service of Jesus Christ. The pictures tell far more than words the work they are doing. We request your prayers for each member of this amazing family, and their great outreach in ministry among the poor. One of their schools is in an area of brick makers, very poor people who are essentially slaves, making bricks from dawn to dark. Entire families work at this trade, but are kept in debt to their “employers” so there is no hope of breaking free. In the picture at the left Nan had the joy of sharing the gospel message under the shade of a tree. They need our prayers, and whatever aid we can give them to sustain the work and even expand into new areas. 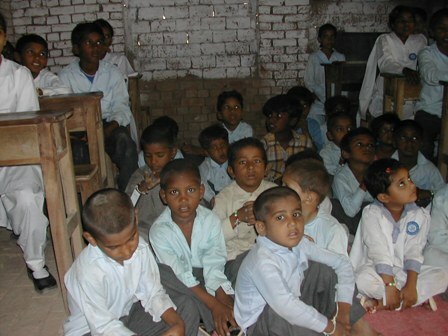 Many children are being given hope through the gospel and an education by the ministry of Pastor Sadiq and his family. Imagine the life of the little girl at the left. 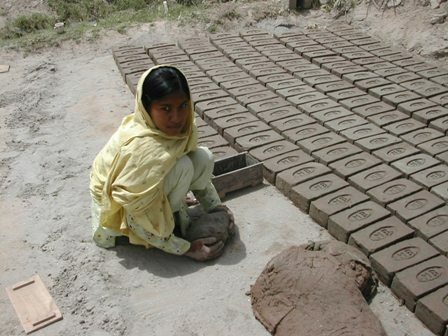 She will live out her childhood days making bricks under the hot desert sun! 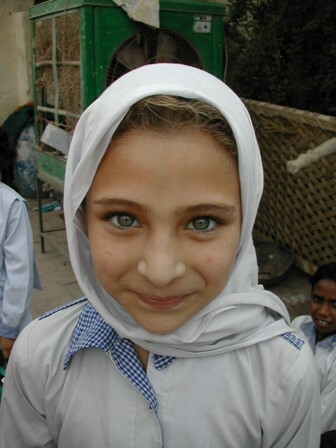 What a difference the message of God’s love will make to her life and her eternal destiny! Please pray for the outreach of these schools, the financial provision to continue with evangelism and education to so many of these little "treasures of The Kingdom"! They are the future of Pakistan! 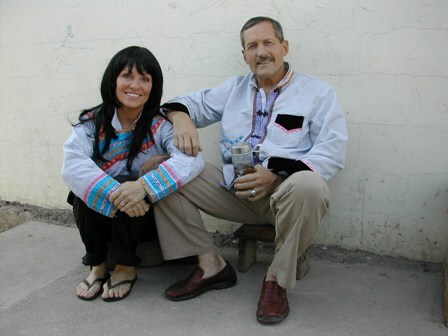 As always, we appreaciate your prayer support on this last journey and your continued financial support to go and reach to the utmost parts of the world. We hold you all in our heart and in our prayers. May God’s grace continue to bless you each one of you. A report on the women’s and children’s ministries will follow soon!